This weekend, I went along to Somerset House to explore Pick Me Up, the graphic arts festival. Showcasing the talents of up-and-coming illustrators and graphic artists, this event also featured lots of have-a-go spaces to try your hand at creative processes such as screen printing or paper craft. Many of the featured artists have turned their hand to producing wallpapers, rugs, ceramics and other homewares, and in particular, I loved the work of Brighton-based Emily Dupen aka Dupenny. Her range of fun and quirky boutique wallpaper celebrating all things pin-up and a little bit cheeky would certainly create a talking point in any room. I visited Ham House over the Easter weekend. 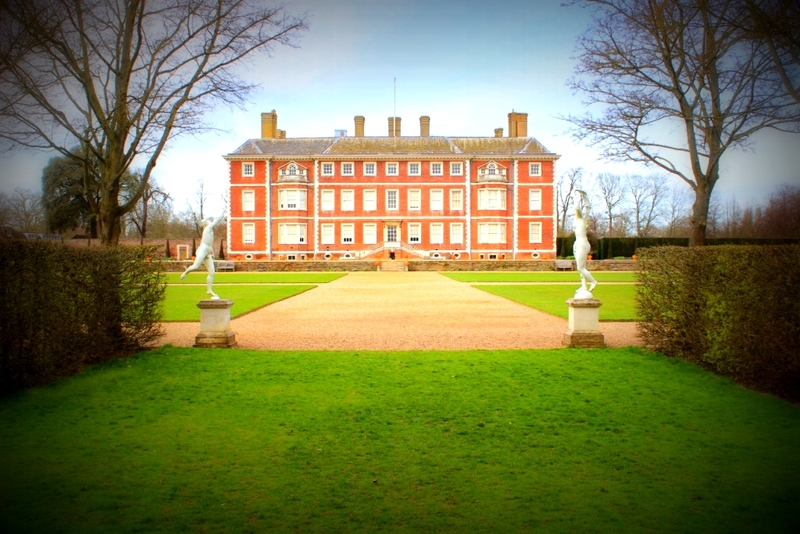 Sitting alongside the Thames just outside Richmond, this grand 17th century house is famous for its eclectic collection of well-preserved paintings, furniture and textiles from its 400-year-history. Wandering through the very simple spaces “below stairs”, to the more comfortable living chambers and ostentatious reception rooms upstairs, there is certainly much to see. 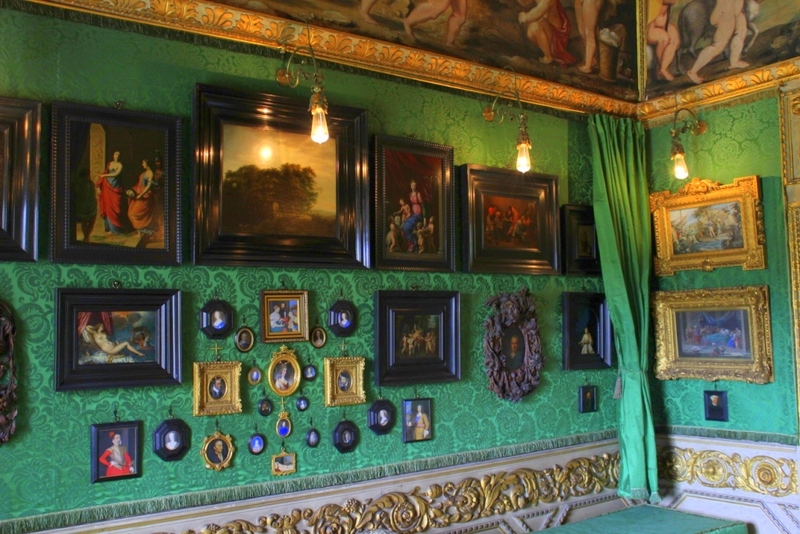 In particular, I loved the Green Closet – a rare survival of a Cabinet Room designed for the private display of small pictures and miniatures. Ebony and gilt frames are set against beautiful green silk damask wall coverings and upholstery. A real lesson in the art of display and inspiration to recreate my own gallery wall of memorabilia at home. You can find more photos from my visit on my flickr gallery. Visiting Ham House in Surrey yesterday (more about that later) we popped into its second hand bookshop for a browse. My eyes alighted upon this tome by designer and stylist Abigail Ahern. Filled with page after page of creative ideas, top tips and advice, this book also features beautiful photos and step-by-step illustrations. 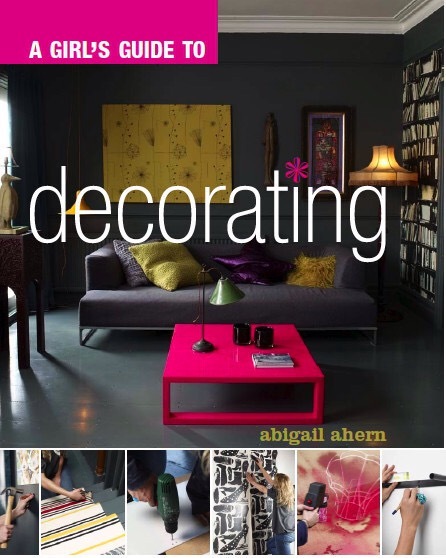 Perfect for the ‘style-conscious girl’ attempting DIY projects on a budget. Finding this book was perfect timing for my Easter weekend. Now, where’s my hammer? 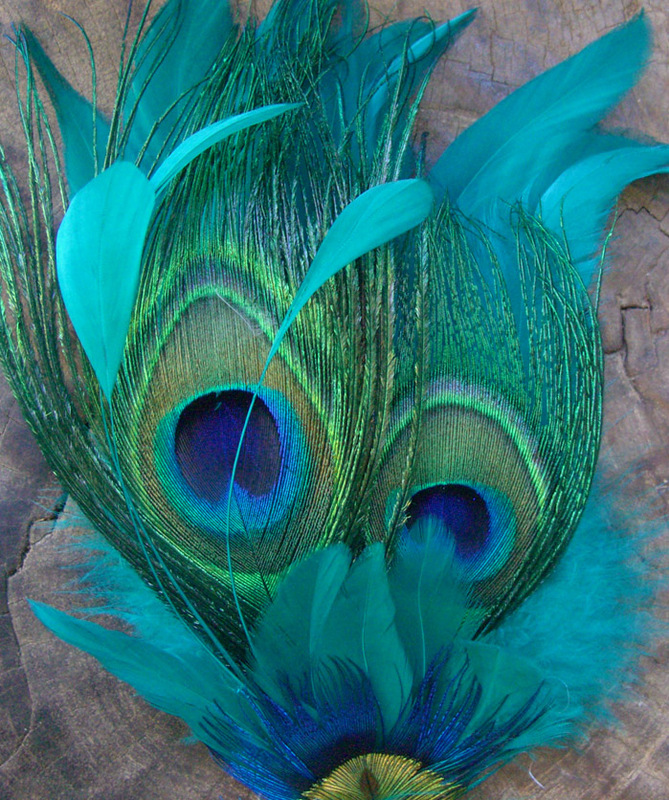 Although previously thought to bring bad luck, the peacock feather became an icon of Aesthetic style in the late 1800s and its iridescent Teal hues have provided a source of decorative inspiration ever since. It’s a colour I’m finding myself drawn to more and more of late. Perhaps because we’re seeing the first hints of a warm spring and its richness reminds me of tropical seas. Dulux named Teal its colour of the year for 2014. It may have taken me a few months to catch up, but I love how Teal pops when teamed with coral or ochre, giving it a mid-century modern edge, or the way it can look opulent and sumptuous when combined with its analogous colours of greens and blues, or the way it can bring Scandinavian freshness when mixed with creams and whites. It’s versatility is endless. According to a recent study, Brits are making their tea “wrong”. The new research claims we’re not letting our tea brew for long enough and to release its true flavour, we should leave it to infuse for five minutes. For an even more perfect cuppa, why not use a gorgeous teapot. Since the ancient Chinese first developed a vessel for brewing and serving tea, their timeless and classic form has been interpreted in myriad ways. I think they’re beautiful objects in their own right. I’ve started a bit of a collection and love the traditional styles from the English heritage potteries such as Denby, Poole, Hornsea and Burleigh. These contemporary Scandinavian designs based on retro styling are also on my wish list. This cheerful yellow teapot by Anouk Jansen for Dutch company Jansen+Co, or this Japanese-inspired teapot by Sami Ruotsalainen with the signature Finnish Marimekko flower, or this stoneware teapot from Sagaform in Sweden will certainly bring a little charm to the daily tea ritual. Whenever I’m in Chiswick, I always make a beeline for The Old Cinema on the High Road. It’s a treasure trove of antiques, modern collectibles, upcycled homewares and utilitarian objects based in a refurbished 1890s cinema. The prices can be a little eye watering, but I don’t let that put me off having a lengthy browse and finding ideas. With ever changing stock and concession spaces given to designers and suppliers such as Ines Cole, Lucy Turner and BIRD, The Old Cinema is a constant source of inspiration, and I always enjoy the chance to be up close to good quality, original design from my favourite periods such as arts and crafts, art deco and mid-century modern.